Nautical Club of Skiathos announces and organize for the third consecutive year, “Skiathos Palace Cup”, under the auspices of Municipality of Skiathos and in collaboration with the Hellenic Sailing Federation. Match Racing is the most modern trend in sailing. The intensity and the spectacle attract more and more fans and is worldly flourishing. This type of race is very popular for yet another reason: It has a pitch, being close to the land, attracting spectators and sponsors. 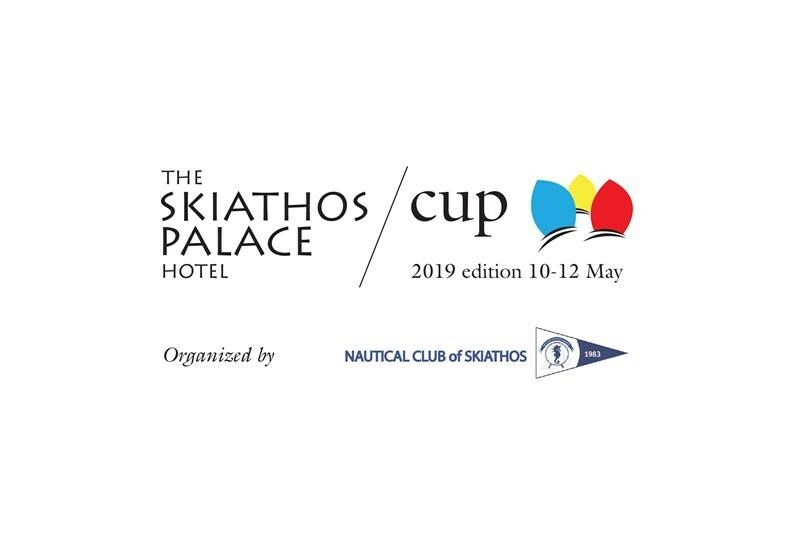 In the case of Skiathos Palace Cup, the combination of the wonderful sports track which is the bay of Koukounaries, with the unique location of the luxurious Skiathos Palace hotel (its sponsor), makes it a top event. 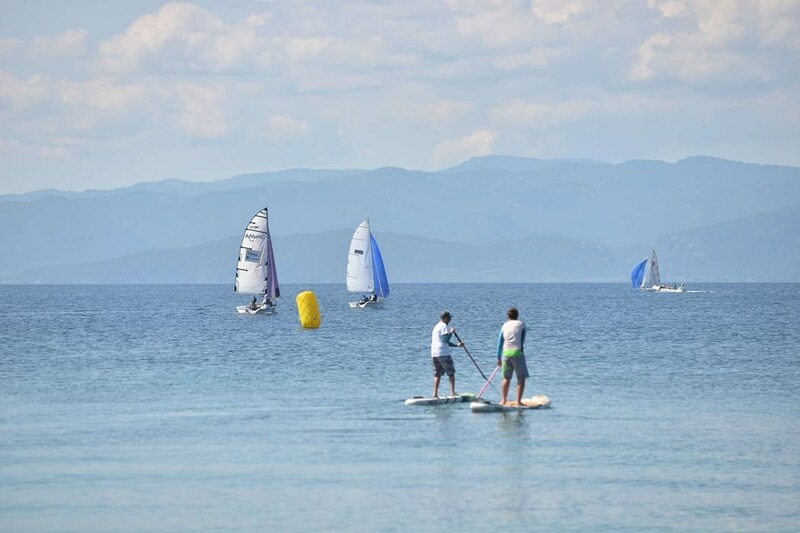 As a result, Nautical Club of Skiathos welcomes every year participants from Greece, but also from abroad. 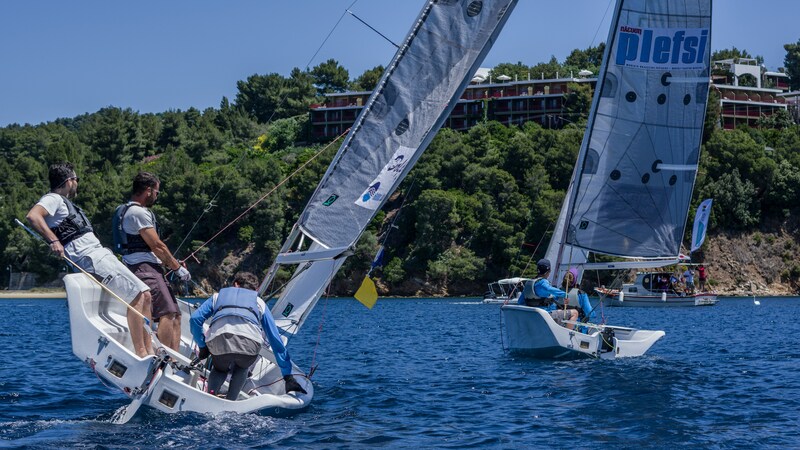 The Organising Authority (OA) will be the Nautical Club of Skiathos, in association with HSF, Administrative Region of Thessaly and the municipality of Skiathos. 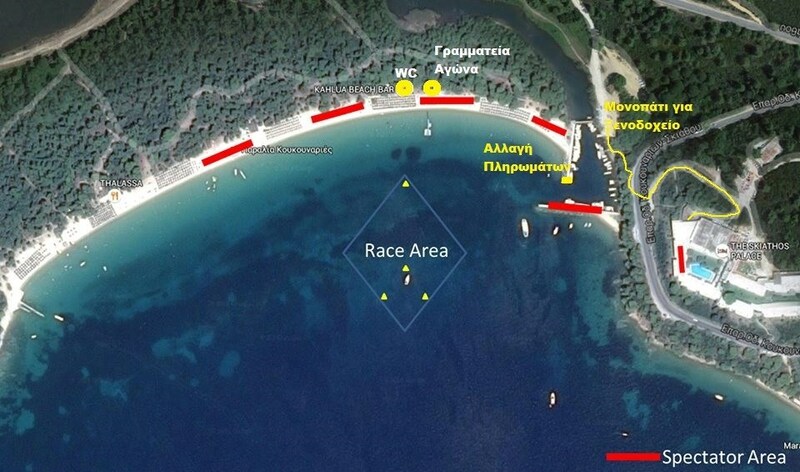 The venue will be Koukounaries beach in Skiathos, Greece. The event has applied for World Sailing Grade 4. This grading is subject to review by World Sailing. The event may be re-graded when there is clear reason to do so. (a) Race office open from Thursday 9/5/2019 from 18:00 to 21:00. (b) Registration from 9/5/2019 and 18:00 until 10/5/2019 and time 09:00. (c) Practice on date 9/5 /2019 after consulting with the OA. (d) First briefing at 10/5 /2/2019 at 09:00. (e) First meeting with umpires following the first briefing. (f) Racing days from 10/5/2019 to 12/5/2019. (h) The latest time for a n attention signal on the last day of racing will be approximately 14:00. (i) Prize giving on 12/5 /2019 approximately 1,5 hours after the last race of the day. (a) Initial briefing for skippers. (b) Prize giving for the final skippers and crews. 5.2	The registered skipper shall always helm the boat while racing, except in an emergency. 5.3	To remain eligible a skipper shall confirm acceptance of the invitation in writing, to be received by the date specified on the letter of invitation. 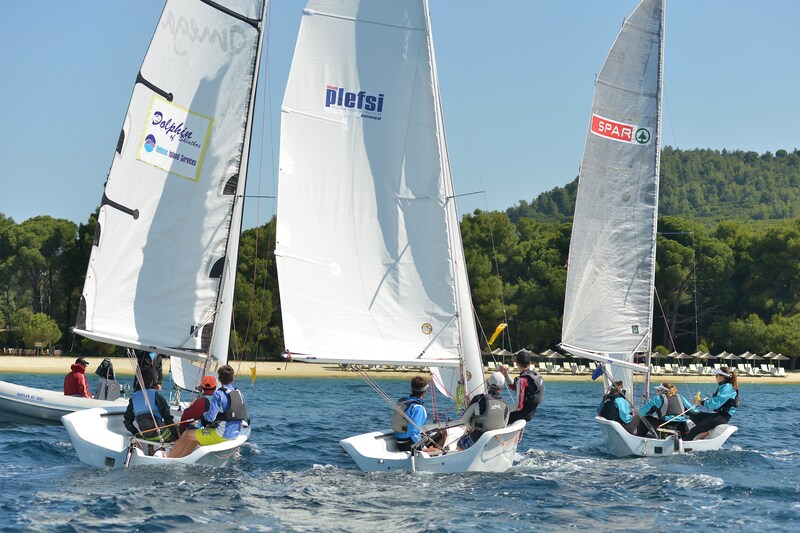 5.4	All competitors shall meet the eligibility requirements of World Sailing regulation 19.2. 5.5	All competitors shall obtain a World Sailing Sailor ID by registering online at www.sailing.org/isafsailor. Skippers shall inform the OA of their World Sailing Sailor ID at registration. (a) The team shall be entered on completion of registration, crew weighing and the payment of all fees and deposits. (a) An initial damage deposit of 150 € shall be paid at registration, unless extended by the OA. This deposit is the maximum payable by the skipper as a result of an y one incident. (b) If a deduction from the damage deposit is decided by the OA, it may require that the deposit be restored to its original amount before the skipper will be permitted to continue in the event. (c) Any remaining depo sit after the event will be refunded within 10 days after the event. 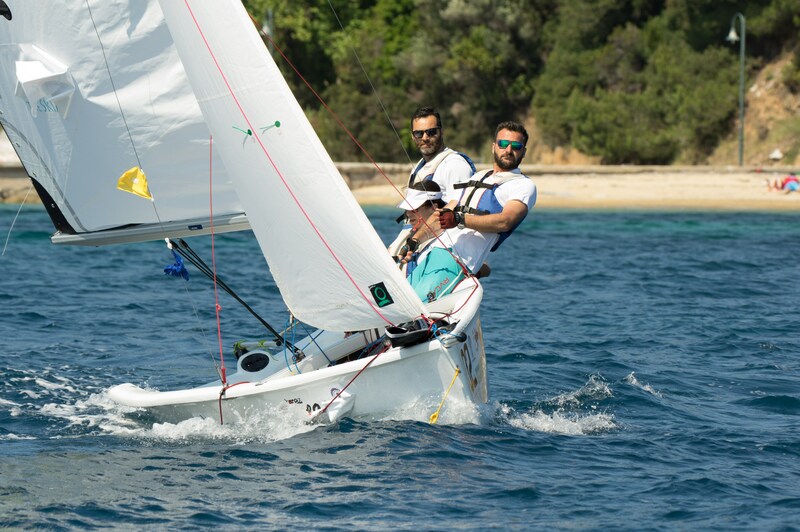 7.1	(a)	The event will be governed by the rules as defined in the RRS, including Appendix C.
(b) The rules for the handling of boats will apply and will also apply to any practice sailing and sponsor races. Class rules will not apply. (c) Any prescriptions of the national authority that will apply will be poste d on the official notice board. (a) Add to RRS 41: (e) help to recover from the water and return on board a crew member, provided the return on board is at the approximate location of the recovery. (b) RRS C8.6 and C6.3 will be changed in the sailing instructions. 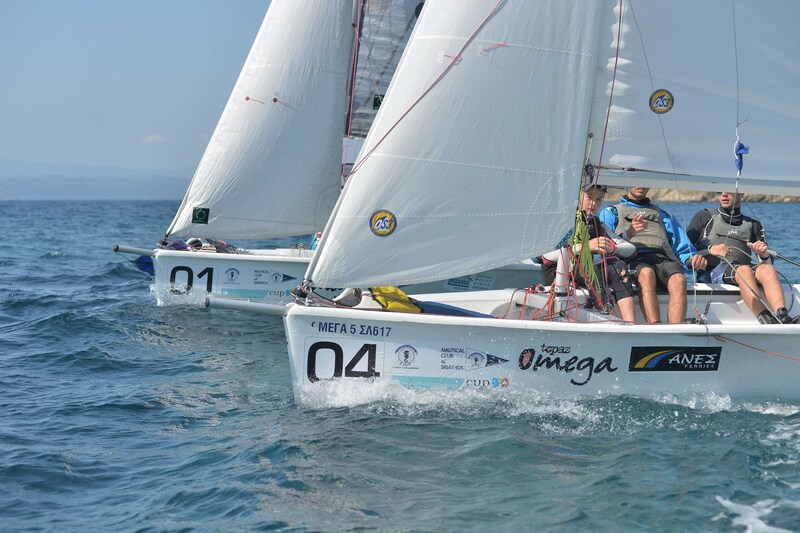 8.1	The event will be sailed in Topper Omega type boats. 8.2	4-6 boats will be provided. 8.3	The following sails will be provided for each boat: Mainsail, Jib, Asymmetrical Spinnaker. 8.4	Boats will be allocated by draw, either daily or for each round as decided by the race committee. 9.1	The number of crew (including the skipper) shall be 3. All registered crew shall sail all races. (a) The total weight of the crew, including the skipper, dressed in at leas t shorts and shirts, shall not exceed 270kg, determined at the time of registration or such tim e as required by the RC. 9.4	When a registered skipper is unable to continue in the event the OA may authorize an original crew member to substitute. 9.5	When a registered crew m ember is unable to continue in the event the OA may authorize a substitute, a temporary substitute or other adjustment. 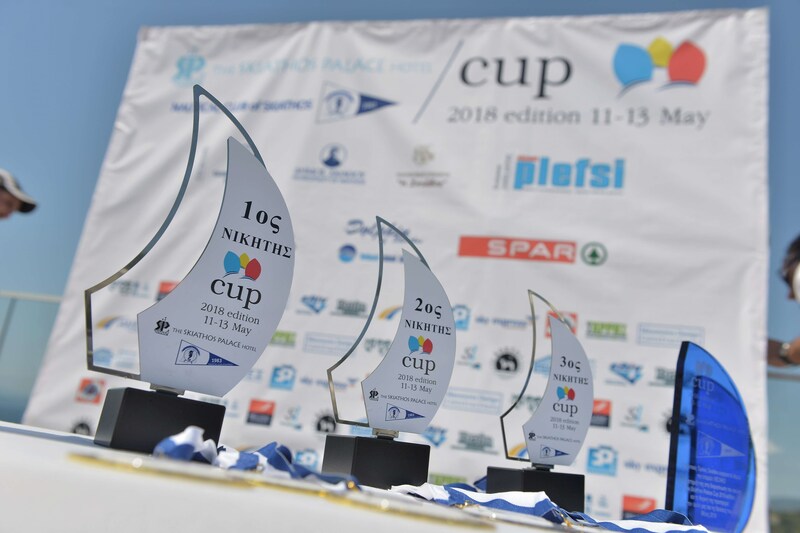 10.1	Skippers will be seeded into a round robin or divided into two groups based on World Sailing ranking list 30 days prior to the event. Stage 1 - A full round robin* or a round robin in groups. 10.3	The RC may change the format, terminate any stage or the event when, in its opinion, it is impractical to attempt to hold the remainder of matches under the existing conditions or in the remaining time scheduled. Early stages may be terminated in favour of later stages. 11.1	The course will be windward/leeward with starboard roundings, finishing do unwind. 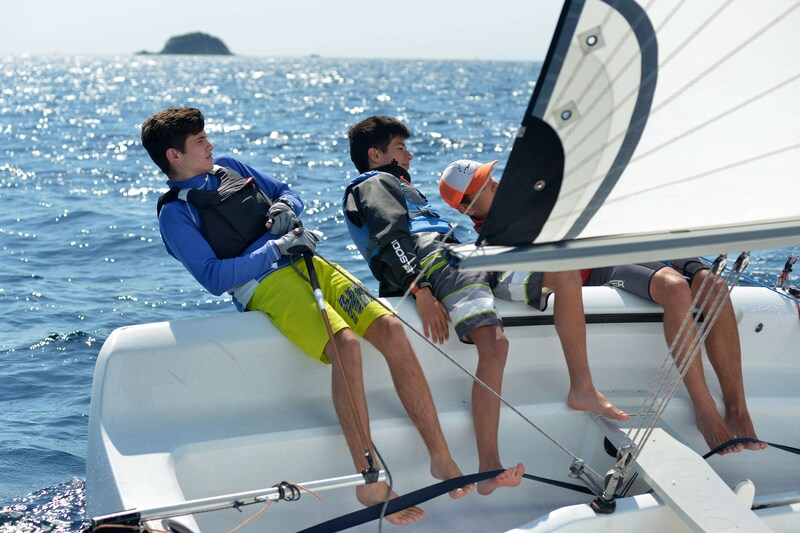 12.1	As boats and equipment will be supplied by the Organising Authority, World Sailing regulation 20.4 applies. Each boat will be required to display advertising as supplied by the OA. 12.3	Competitors may be permitted to display advertising ashore at the venue, but this is subject to individual negotiation with the OA. 12.4	Boats shall not be permitted the right to protest for breaches of any rules regarding advertising (amends RRS 60.1). 13.1	Trophies will be present to the skippers and crews placing 1st through 3rd. (a) Television personnel and equipment (or dummies) supplied by the O A shall be carried on board while racing. (b) Competitors shall wear microphones supplied by the OA during racing and be available for interviews when ad vised by the OA or RC. (c) Registered skippers shall wear communications equipment supplied by the OA that will allow commentators to communicate with them whilst racing. 14.2	Competitors shall not interfere with the normal working of the OA supplied media equipment. 14.3	The OA have the right to use any images and sound recorded during the event free of any charge. 15.1	No coach boats will be permitted. All those taking any part in the event do so at their own risk. The OA, its associates and appointees accept no responsibility for any loss, damage, injury or inconvenience incurred, howsoever caused. The ticket includes the entry fee for three (3) participants, their accommodation for three (3) nights (9,10 & 11 of May, check out on 12), breakfast and dinner.